Site #47 is a full-service Premium site located on the back side of the upper terrace. 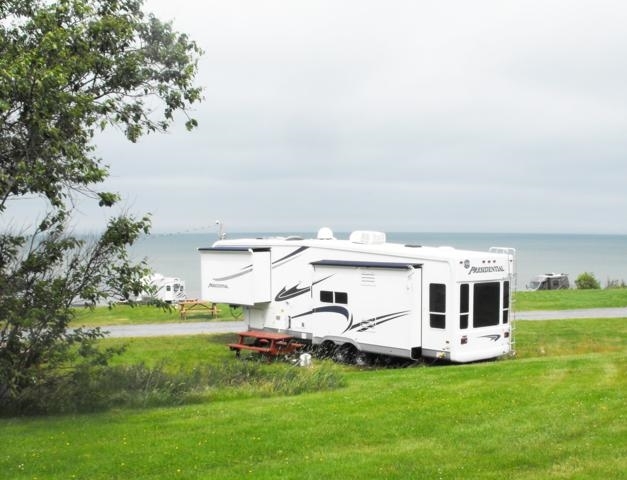 This site is separated from the Water View area by the access road, and the view over the Bay of Fundy may be obstructed by guests occupying the Water View sites. 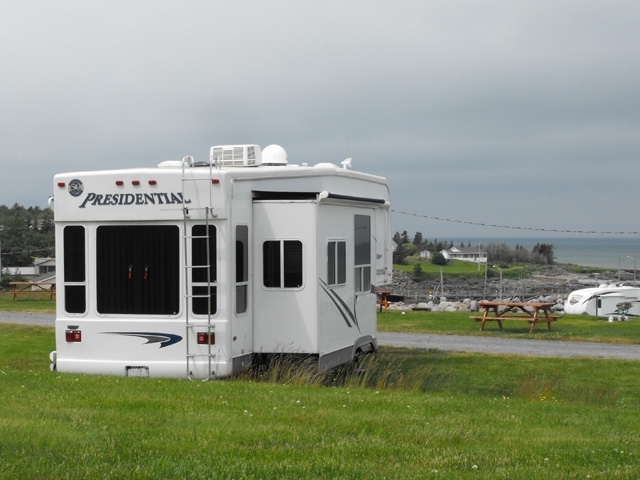 The large, level grassy site accommodates one camping unit up to 40 feet in length, and is equipped with certified drinking water, 30 amp power supply, sewer, picnic table and fire ring. Love the flowers! Clean and pictuesque, and the fresh lobster can't be beat!